The mechanism for this is very fascinating. Remember the reaction that generates 2,3-Bisphosphoglyceric acid (2,3-BPG)? Medicine does get overwhelming. Mostly because no matter how much you study, you will always feel under prepared. It's normal to feel this way. But don't let it get to you. This part is important because if you feel hopeless, you won't work as much as you should and the guilt will feedback. You need to break the cycle and focus on what's in front of you. There is always hope. Take a deep breath. Say this aloud - "I've got this. I can do this." Exercise. Exercise gives you endorphins. Endorphins make you happy. Happy people kill exams! It's smiling at you, please smile back! Laughing and smiling alone is a HUGE stress buster. Tissue plasminogen activator is an enzyme that catalyzes the conversion of plasminogen to plasmin, the enzyme responsible for clot breakdown. It is used in the treatment of embolic or thrombotic stroke. Contraindicated in hemorrhagic stroke and head trauma. The antidote for tPA in case of toxicity is epsilon aminocaproic acid. 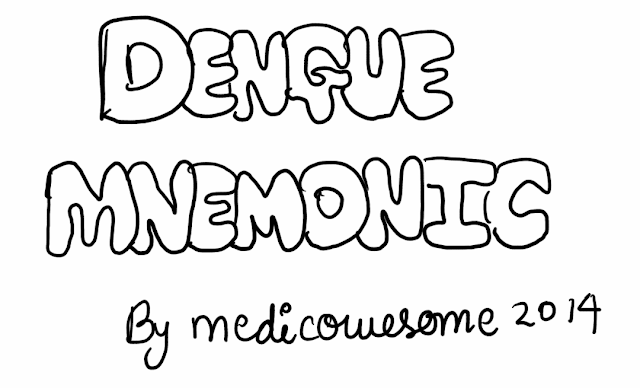 The dose mnemonic is, "TPA" again! 10% of dose given as bolus. 0.9 mg/kg dose, maximum 90 mg.
Rest of the dose is given as an infusion lasting for 60 minutes. This is practical exam related concept. In a patient with neurological symptoms, you'd like to know whether the person is left handed or right handed. Why? Dominant hand is important in medicine because it helps us figure out the dominant hemisphere - especially, in patients with stroke. People who are right handed have their left cerebral hemisphere dominant. 70% left handed people are left hemisphere dominant. To figure out handedness, you can ask the person with which hand he writes. If illiterate - You can ask with which hand he prefers to eat, combs hair, etc. Threading a needle is an excellent way to determine handedness because very frequently people tend to hold the thread in the dominant hand and hold the needle with the non dominant hand. I'm left cerebral hemisphere dominant. You? Question: Does a recent thrombus contain lines of Zahn? More notes. Yaay! Submitted to us by Dr. Neelofer. These were submitted to us by Dr. Neelofer. Inspiration is longer than expiration. No pause in between. Inspiration and expiration occupy the same duration of time and are separated by a pause. Heard in: Consolidation or a large cavity. B for Bronchial, B for Both are equal. Both are equal with a pause. Heard in: Bronchial asthma, Emphysema. The B for Both are equal. The hyphen reminds me of the pause. 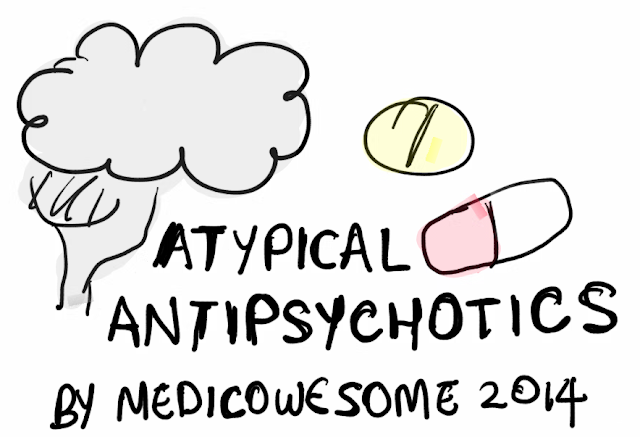 In this post, I'll be talking about some side effects of antipsychotics and a few mnemonics that help me remember the same! This is especially for all those people who are preparing for Step 1 and reading First Aid 2014. 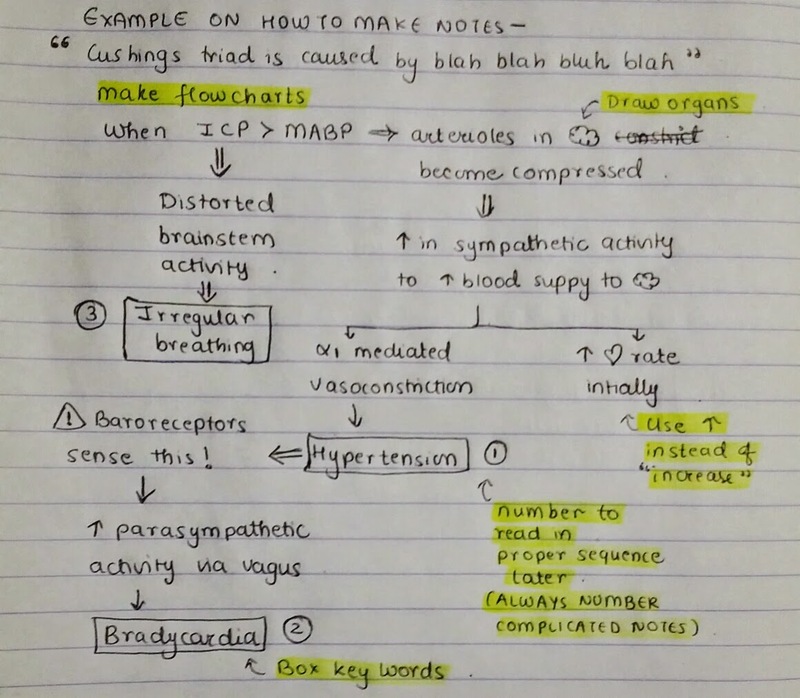 Making concise notes is easy! Write key words, no sentences allowed. Use arrows, mini organs instead of words. Draw diagrams, write points in it. Number your points, so that you have a nice flow while revising what you wrote. Here's another list for Trichomonas - Key word, "TRICHOMONAS"
We'll be learning some points and concepts about tubal ectopic pregnancy today! I tied em up together in a mnemonic, "TUBAL"
Hello, my favorite brainy people of the internet! We'll be talking about some brain tumors today. We'll be learning about one of the operations used in the treatment of vaginal prolapse. It's Fothergills operation and I'll be sharing a mnemonic I use to remember the points about the operation. Fothergills repair is also known as Manchester operation. So the mnemonic for Fothergills repair is, "MANCHESTer"
What is the need of pain during delivery of a baby? I'm not asking the physiological mechanism. I believe that nature doesn't make a process painful unnecessarily and I wish to understand the importance. To help make the essential arrangements for the birth of the child. To make it simpler for you, I'll tell you what happens when the pregnant woman does not experience labor pains. It's called precipitate labor. You'll read about it in forensic and medical toxicology in second year. The mnemonic for causes of hirsutism is, "Hair On Chin"
The mnemonic to remember points to be written on dermoid cyst is, "DERMOID CYST"
Since this is my first post, I'll share my first story with you. From the time I entered medical school. I was a normal, excited and happy to be in medical school kid, just like everyone else. During terms, I studied causally and attempted the exam. I got my results - I had failed in physiology. My anatomy and biochemistry score was average too. Yes, I was disheartened. Filled with disappointment. I was an outstanding pre-med. How could I fail in first year med school? The first thing I did was that I tried to figure out where I went wrong - self analysis. I realized that medical school needed a little more hard work than before. I had poke-evolved to a new course. I needed to evolve my skills too. Heberden’s nodes are present in the distal interphalangeal (DIP) joints, while Bouchard’s nodes are present in the proximal interphalangeal (PIP) joints. 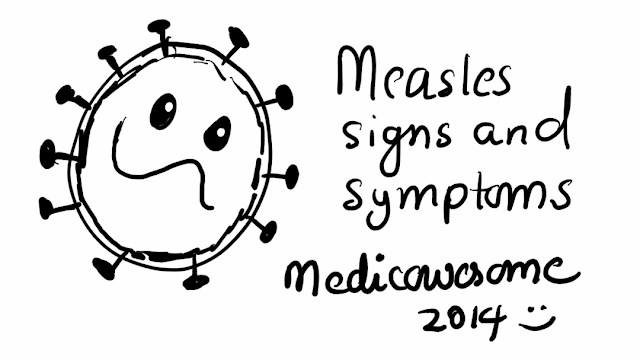 Prodromal phase of measles mnemonic, "MEASLES"
We'll be learning all about vitamin C today! Vitamin C deficiency was seen in people who travelled the seas (C's, get it?) because they didn't have a fresh stock of green leafy vegetables. Since scurvy was also seen in pirates, the mnemonic for deficiency of vitamin C is my favorite pirate - Captain Jack Sparrow! Here's a mnemonic on the peripheral blood smear findings seen in Thalassemia! 3. Positive serology or occurrence with same time and place as other confirmed cases of dengue. We'll be learning about cute lil kids today! My drawing is not that cute, but children are. They have some findings which are normal and require no treatment. I have illustrated these findings in the pictures below. Draw this once or twice and you've mastered another milestone! Very short post of the day! Pincer grasp is achieved by the infant by 8-11 months of age. I remember 10 months because it's a mid point. The thumb stands for 1 & the other fingers make an 0. That's how I remember pincer grasp is achieved around 10 months of age! We'll be learning about an iron and anemia related topic today. When a patient has severe anemia, you need to calculate the TDI (Total dose infusion) for parenteral therapy. And there are various formulas with all sorts of numbers in em. Let's start with the formulas! H has 3 strokes | - |, so 0.3 is the multiplication factor. Haldane has a L, for weight in Lbs. Haldane has a H, H for Hundred. So hundred minus Hb %. Add half of hundred, 50%, for stores. We'll be taking about upper gastrointestinal bleeding today! I am theory oriented these days. This is just a general guide to fill pages in my exam. Write everything you can remember! Remembering these names is not necessary. That being clear, let's mug this up! 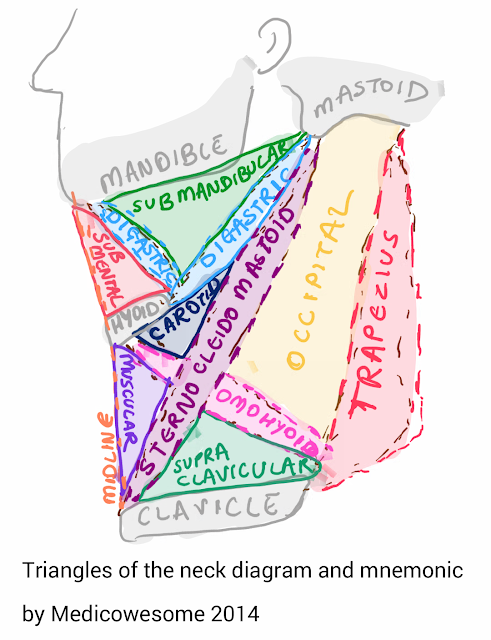 How to remember certain signs and symptoms of intussusection?